Earth friendly toys are becoming a big industry as the general consciousness rises in regard to environmental issues. However, finding earth friendly toys can still be a bit of a hassle for people in the market for them. Be sure to learn about popular earth friendly toys, earth friendly brands, and the best places to shop for these toys before you pick up something for the child in your life. 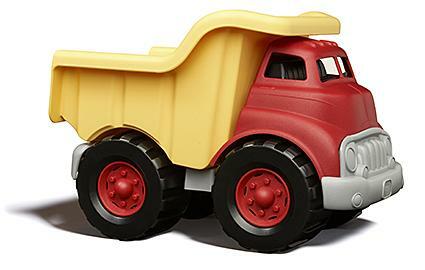 The Green Toys Dumptruck is great for kids that are active and want something durable to smash around in the mud or in the sandbox. It is constructed completely out of recycled milk jugs without any other inputs whatsoever. There aren't even any metal axles on the truck. The Meowsonic Toy Piano is a great toy for young children who have a love for music. It comes preloaded with a few simple songs, it has volume controls, and it has an automatic shutoff feature. It is constructed using earth-friendly materials and is constructed by a manufacturer who constructs in an environmentally responsible way. Max's Mud is a great arts and crafts toy that is made out of completely non-toxic materials. It is a sculpting dough that can be used to do anything that the more well-known sculpting doughs do, just without all of the harmful toxins that are in those doughs. Several toy brands specialize in environmentally friendly toys. Shop with a clear conscious from brands you know are green. Green Toys has been in the business for a while now, and it focuses on creating new toys for environmentally-conscious parents. The toys here are part of a growing line of green toys that are constructed out of environmentally friendly materials and using earth friendly processes. The goal at Green Toys is to give kids the exciting toys they're used to, just not in the environmentally destructive way that most toys are manufactured. The packaging is minimal, and recycled. This company sells through various retailers across the United States and supplies an interactive map to find one in your area. Plan Toys is one of the most famous green toy manufacturers in the world. The commitment here is to provide toys of exceptional quality without compromising on environmental ethics. They are known as a pioneer in making wooden, bamboo, and recycled plastic toys fun and engaging for modern children. The toys here are built to exacting environmental standards and are almost uniformly designed with education or development in mind. miYim toys is a subsidiary of the Hosung toy manufacturer and specializes in what it calls "Simply Organic" toys. They have a wide range of very popular plush toys, with a new line being designed with environmental mainstay Jane Goodall to help ensure they have the highest standards possible. 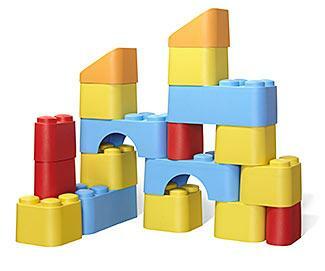 Myriad Toys carries a large selection of wooden toys with emphasis on creative play. These toys are compatible with the Waldorf learning methods. This is a European company. The Green Mercantile carries all kinds of eco-friendly toys including soy based crayons, soft dough (an eco-friendly clay), and pull toys. Toys R Us recently came out with a line of earth friendly toys. This collection includes plush animals made form natural cotton, organic cotton dolls, and wooden toys. They are packaged in boxes that are made of 70 percent recycled materials. Everything is non-toxic, natural, and colored with water based dyes. There are no bleaches or synthetic materials involved in the making of these toys and the wooden toys are decorated by wood burning techniques and marked with a Forest Stewardship Council Logo. While this is a small step for this large corporation, it is a step in the right direction. Even though it takes a little extra effort to find toys that won't hurt the environment, it's worth the effort when you consider the long-term savings on the earth. Kids will love to play with their new toys, and you can feel good about being green with your gift.